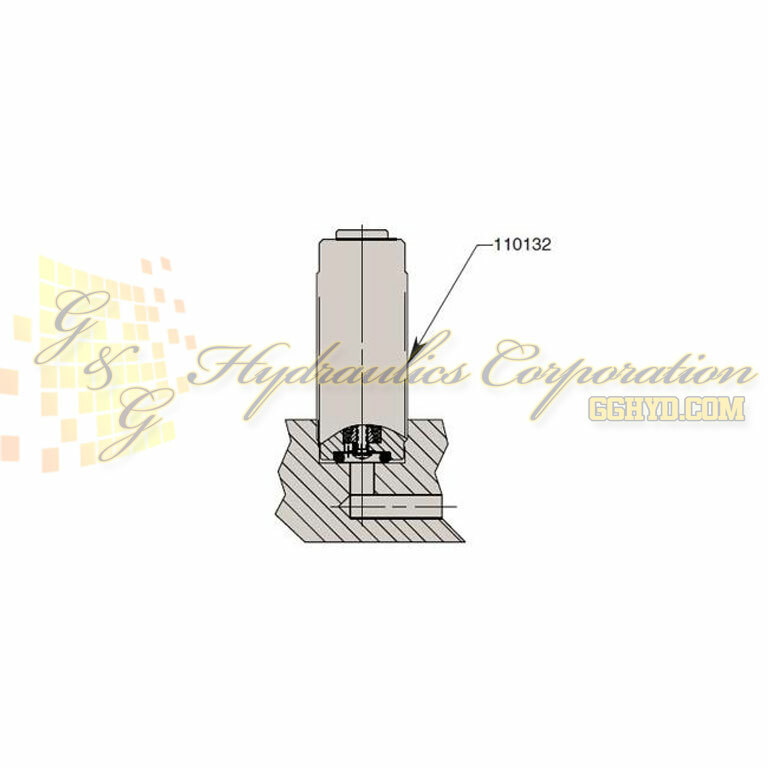 Part #110132 Hytec Single-Acting Threaded Body Cylinders - S/A - Premium Grade. 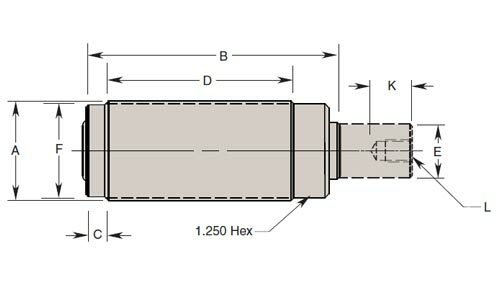 Optional hex jam nut, Rod wiper seal in gland bearing, Power-Tech™ treated body for long wear and corrosion resistance. 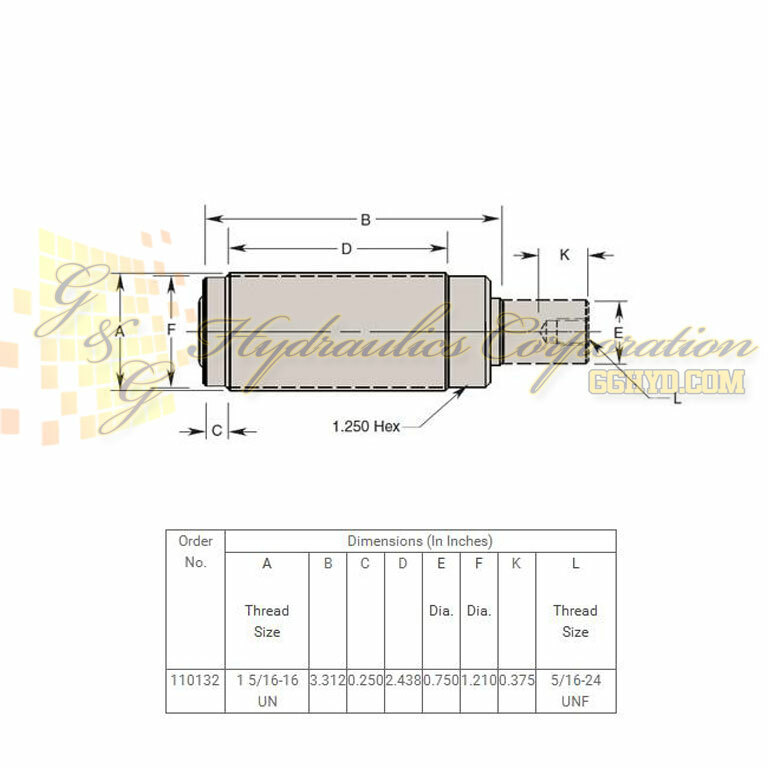 This is our highest capacity cylinder in the threaded body style. This premium grade cylinder includes a gland bearing, wiper seal, and extension style return spring. Its plated, threaded piston rod resists wear and corrosion and accepts Hytec threaded inserts or custom made attachments. 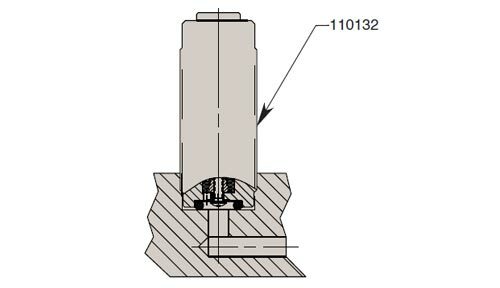 The 100208 can be mounted by threading it into a tapped hole in the fixture or by inserting it into a drilled hole and locking it on both sides using two hex jam nuts (optional). 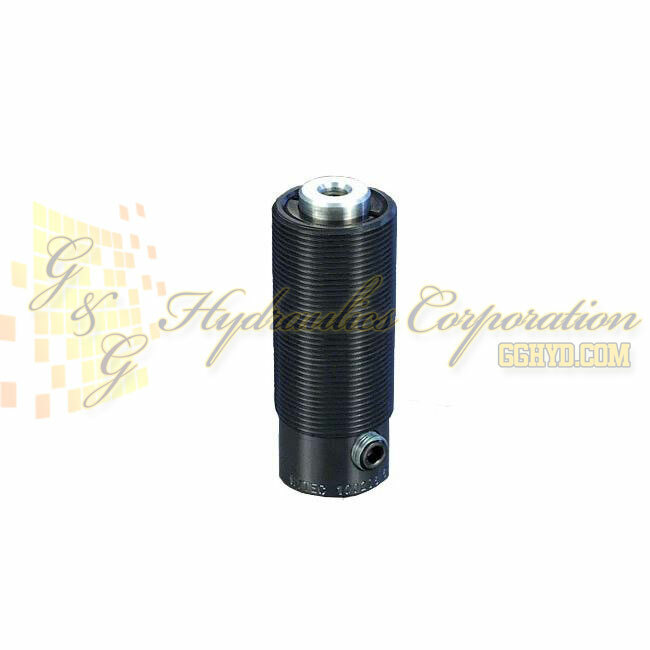 This conventionally mounted 1" stroke, singleacting cylinder has a 1/8" NPT side port for making hydraulic connections. Like our smaller, threaded body cylinders, the 110132 is intended for manifold mounting and requires only a flat-bottom hole for installation. NOTE: *Based on 5,000 psi maximum operating pressure.